Erwin Longoria, 25, of Pleasanton, died Friday, June 22, 2018, in Pleasanton. Mr. Longoria was born Nov. 11, 1992, in Laredo to Ernesto G. and Maria Concepcion (Lozano)Longoria. He graduated high school and married Alexis Rodriguez Longoria of Leming. He worked in the oil field and was a Baptist. He was preceded in death by grandparents, Emilio Longoria, Antonio Gonzales and Martina Lozano Moreno. Survivors include his wife, Alexis Rodriguez Longoria of Leming; three children, Jayden, Jadie and Isabella Rose Longoria, all of Leming; his father, Ernesto G. (Mary Castillo) Longoria of Normanna; his mother, Maria C. Longoria of Pleasanton; two brothers, Ernesto Longoria Jr. of San Antonio and Omar Longoria of Pleasanton; eight sisters, Jennifer Longoria of San Antonio, Marla Longoria of Pleasanton, Ericka Ramirez and Rebecca Cisneros, both of Dallas, Nadia Cisneros and Jane Guevara, both of Houston, Sandra Chavez of College Station and Elsa Chavez Gonzalez of Laredo, Mexico; grandmother, Virginia Longoria of Tuleta; uncle, Frank Longoria; and aunt, Guadalupe Moreno. 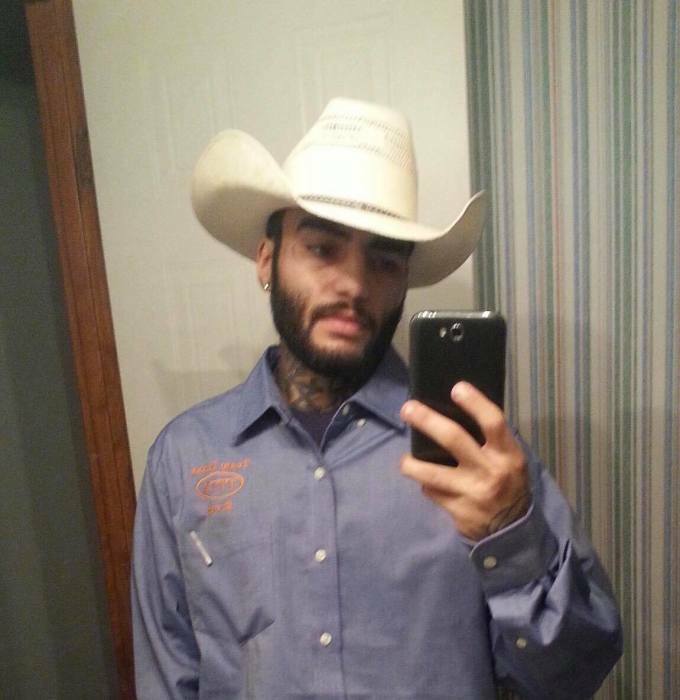 Visitation was held from 5 to 9 p.m. Tuesday at Treviño Funeral Home with a prayer service there at 7 o’clock. His body lay in repose at Primera Iglesia Bautista at 9 a.m. today (Wednesday). The funeral service was conducted at 10 o’clock with Pastor Marcello Garcia officiating. Burial followed in Pettus Cemetery. Pallbearers were Omar Longoria, Victor Ortiz, Luis Ramos, Fernando Fermin, Jesus Ramirez, Jose Guevara and Chris Mills.